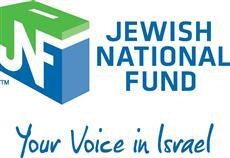 Your message has been sent to Jewish National Fund . Like authorSTREAM? Give us a +1! The JNF (Jewish National Fund) is a charitable organization specializing in the development of Israeli land and infrastructure. We are most known for our efforts in planting trees across Israel for over a century. Additionally, we have constructed over 240 reservoirs and dams, developed 250,000 acres of land, and created over 2,000 parks. The JNF takes great pride in connecting thousands of children and young adults to Israel and their heritage. Jewish National Fund's Podcasts ..